Seven years ago in Dusseldorf we were all singing “I Love Belarus” for this or that reason… We still love it (or not), but for the sole reason that their Eurovision selection has been hit by many scandals and dramas since the live auditions were held, and the 11 finalists have been chosen. In these couple of days, lots of things have happened which resulted in two songs being under investigation, one act withdrawing, and five others are threatening to withdraw as well. What is happening in Belarus? From approximately 100 acts, a pre-selection jury has chosen 11 acts for the national selection after live auditions. 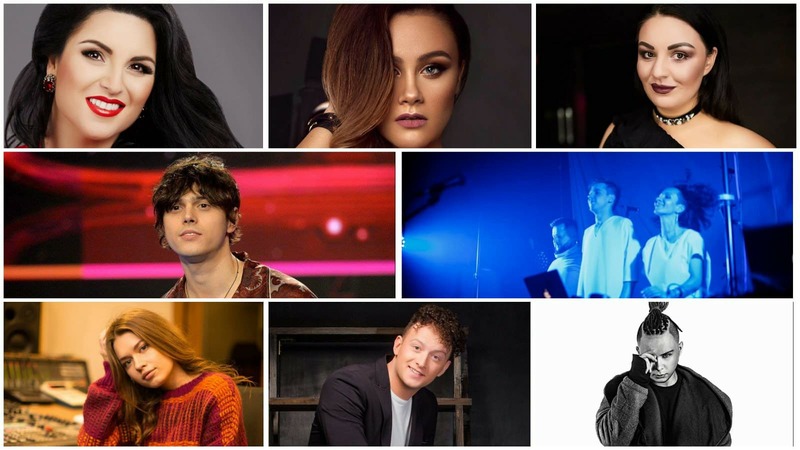 One of these 11 acts is a Ukrainian singer Alekseev, who had previously withdrawn his participation from Ukraine’s national selection “Vidbir”, in order to enter the Belarusian selection. Local stars such as Alexey Gross failed to make the cut. We affirm that this version performed at these concerts is neither the music nor the words that we presented for the selection for Eurovision 2018, and this is confirmed by the agreements with various authors of “Navsegda” and “Forever”. We are sure that this can be proved by analyzing these two songs (a piano concert version of “Navsegda” and a contest version of “Forever”) on notes and see the difference. We believe that further proceedings on these issues should go to the legal plane. We understand that neither the BTRC nor the EBU will admit any violation of the regulations and will make a legally sound decision. This has lead six artists to question the regularity of the competition, and stating that they wouldn’t sign any documents with BTRC contracting them to perform their participating songs in the final on the 16th of February. These six acts are Napoli, Anastasiya Malashkevich, Gunesh, Alen Hit, Kirill Gud, and Sofi Lapina. They stated that they already spent thousands of dollars on their preparations for the show, which apart from the recording of the song include their outfits, personal artistic trainings, choreography lessons, etc. We will not sign the contract of participation in the final part of the national selection until the BTRC takes an honest and fair decision on the disqualification of Nikita Alekseev. We question the qualifications and business reputation of the artist Nikita Alekseev and his management. We do not consider it possible to participate in the farce, to what the final of the national selection will seem like in the event of the appearance of Alekseev. Our participation will undoubtedly cause us reputational harm, insult our honor and human dignity. We call all not indifferent colleagues in the field of show business to pay attention to this glaring situation and PUBLICLY give their authoritative assessments to what is happening. Violations made when applying for Nikita Alekseev and / or his representatives. The song “Forever” presented in the application is an translated into English version of and is the slightly reordered and shortened version of the song “Navsegda”, according to independent expert opinions. The first public performance of this composition took place in May 2017 as part of a commercial tour, which directly violates the provisions of the current Regulations of the National Selection. The song was performed many times in the framework of the above-mentioned tour, which gave the artist Alekseev an undeniable advantage not only in the framework of the national selection, but also in the context of the main Eurovision Song Contest 2018. The presented composition has a duration of 3 minutes 06 seconds, which directly violates the restrictions on the duration of the sound. Often, a few extra seconds do not allow using this or that composition, because the song can not be shortened without losing the structure of the arrangement. Alekseev signed guarantees that the song “Forever” fully meets the criteria of the national selection, which is a direct introduction of the organizing committee for delusion. I started preparing for the selection back in August. I chose the song “Just For Fun”. This is the translation into English of my earlier song “Lyudi zimy”. I performed it at concerts earlier. The duration of this song was more than 4 minutes. After terrible and long manipulations, it was possible to shorten it down to 3:07. Everything, in short in any way. Then I read carefully the Regulations. It turned out that “Lyudi zimy”, which I performed at charity concerts, does not pass either in novelty or in duration. The network and on my website you have in detail everything I’m talking about. I replaced the song despite the fact that I shortened it, re-arranged it and translated it into English. Further, there were songs “Castles” and “Greater Scheme” in a duet with Romka Voloznev. They also had to be removed, as it turned out that the author had posted them before in the expert communities in Europe. There was almost no time left, and I prepared “Gravity” in a hurry – not the most suitable track for the contest, you know. Can you imagine how much effort was wasted?? All spent to match the Selection Regulations. What can be my attitude to Alekseev’s application after that? Personally, there are no complaints. There are claims to his team and to the BTRC. I do not like that all openly turn a blind eye to obvious violations, which even EBU recognizes. I do not like the lie on the camera. Only the deaf does not understand that Alekseev said the old song. There are double standards and lobbying the application from somewhere above. I do not want to be a decoration on someone else’s show and I will not be that. For me, every step onto the stage is a very personal story. I live this moment very much. Do not make me be a clown. I signed up under the application and signed up under the petition, if necessary. But I have no desire to participate in this farce. Most likely, I will not go on stage for any result of these showdowns. I never spoke about competitors badly or pejoratively. About Alexeev as a man I will say this: I will not go into reconnaissance with him, I will not say hello. After this, yet another scandal hit the Belarusian Eurovision selection – it was discovered that the lyrics of Shuma’s song “Chmarki” have parts identical to an old Belarusian folk song “Ishli chmarki u triy parky”. BTRC initiated an investigation on this issue as well. The band is currently in Kiev, but they stated that as soon as they are back in Minsk on the 20th of January, they will immediately start working on changing the lyrics with the help of Max Shchur, in order to be in compliance with the Eurovision rules. Whether BTRC will now accept this change or not, is yet to be seen. Apart from stating that investigations have been started in both the cases of Alekseev and Shuma, BTRC has made no official statements on any of these matters. They held the running order draw yesterday, and all of the acts were given their contracts, which they need to sign in a week’s time. Ad-hoc rule changes, or double standards? In the past years, rules of the Belarusian Eurovision selection were different – acts like the above mentioned two (Alekseev, and Shuma) were handled differently. Alexey Gross (who didn’t make it through the live auditions this year) was disqualified in the past for breaking the main Eurovision rule, as well as Alexandr Solodukh, whilst other acts including Alyona Lanskaya were allowed to simply change the song, which is something Alekseev could be granted as well. But at what cost? The Moldovan songs are out!